Via the A22 motorway to the exit Bressanone/Val Pusteria –continue to Rio di Pusteria–turn right towards Rodengo, and on the right you’ll see the Hotel Rosenheim. 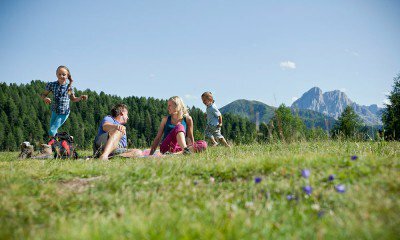 Being close to Bressanone and Rio di Pusteria, a train trip is also recommended. We are happy to pick you up from the station. 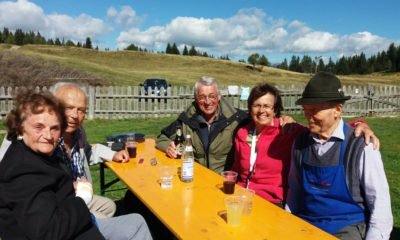 Ask about convenient connections to Innsbruck from Cologne or Berlin. 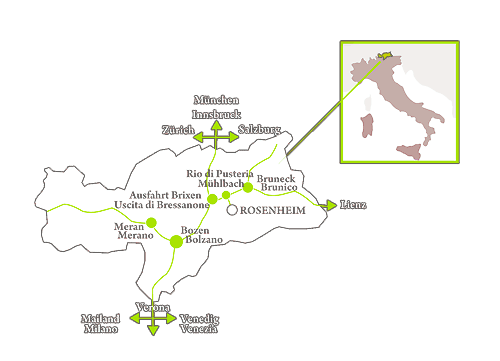 More connections to Bolzano, Verona or Brescia.